The 2016 Sourcing Report is Here! 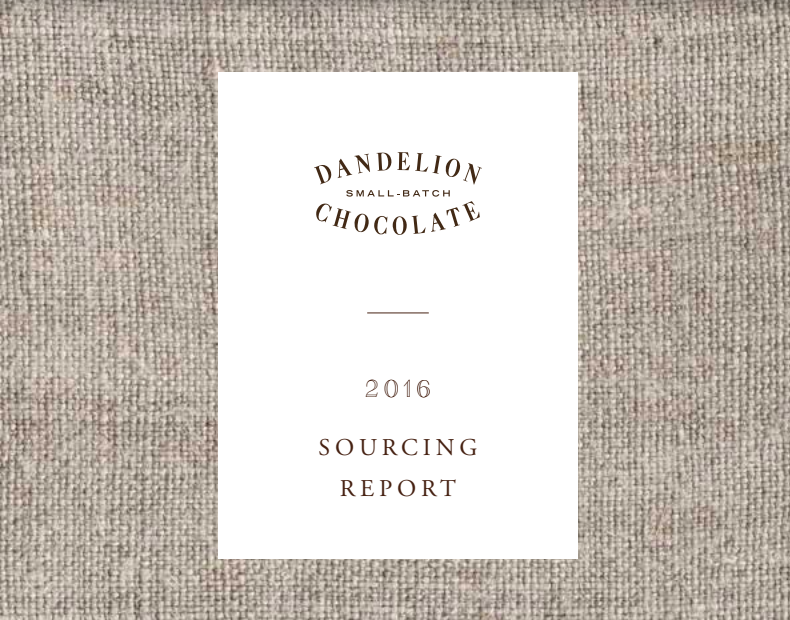 Our 2016 Sourcing Report is here! In it, you’ll find profiles of every origin we purchased cocoa beans from in 2016, details about how they get to us, information about how much we purchased and how much paid, as well as updates from our factories. We write an annual sourcing report because we believe that transparency is good for everyone. Historically, it’s been difficult for consumers to get a clear view of the supply chain and the conditions surrounding cacao production, and for producers, it’s similarly opaque. As a craft chocolate maker, we are part of a small but growing set of companies that seeks to shift focus to the bean. We strive to make chocolate whose origins are distinct, clear, and sustainable, and we hope this report helps to connect our producers and their practices with each other and anyone interested in learning about where chocolate comes from. Now, you might be saying, “2016? That was, like, a really long time ago.” And you’re right! This year, we were a little caught up writing this other thing, which meant the sourcing report took us a little longer than expected this time around. But it’s here, and we hope you enjoy it! This is incredible. Thank you for your meticulous sourcing, storytelling, and transparency.